November 2010 – King James Only? The Vulgarity of It All! One of the other contributors asked me to write a brief article concerning the need for translation. Why don’t we simply teach people to read Hebrew, Aramaic and koine Greek? The reason is simple – because God didn’t. Consider this easily verifiable fact: the Christian Scriptures are in a different language than the Hebrew TANACH. That’s right. God did not require the early Christians to write their part of the revelation in the same language as he required the Hebrews to write their part in. What’s more, the early Christians did not use precise translations when going from Hebrew into Greek. Some of their translations would be considered terrible by modern scholars, and yet there they are. Deuteronomy is a rephrasing of the other books of TORAH in a different form of Hebrew. Ezra/Nehemiah speaks of some kind of translation of the TORAH into the language of the people at this time. Jesus himself quotes the TORAH in Aramaic translation. The Scriptures in the vulgar language of the people is a hallmark of Christian faith. People often point at the Vulgate as a detriment to people accessing God’s word in their own language, but in fact, Latin was still the written language of the western world through most of the early Middle Ages. As the Romance languages evolved, Latin remained their ‘literary form’ for quite some time. Those people who did learn to read and write did not do so in their own vulgar language. They learned Latin. In a very real sense, the Vulgate was the vulgar Bible. In the eastern world, the Bible was translated into the languages people spoke – Syriac, Coptic, Bulgar, Goth, Slavic, etc. They were given written languages and were never Latinized, so they wrote the Bible in the languages they used. The Greeks kept the Bible in Greek because they spoke Greek. God’s Word is bigger than some static language. He never restricted his people to one or two languages. Even at Pentecost, the Gospel was spoken in the languages of the heart – the VULGAR languages. So there it is – the reason we need translations. They are at the very fabric of our Holy Book, itself written in three languages INTENTIONALLY, BY INSPIRATION OF GOD. The New NIV… It’s Here! For years, the NIV has been the most loved, and most hated of the modern Bible versions produced in the 20th Century. Many of us who used to be KJV-only advocates used to reserve our sharpest criticisms for the NIV. Perhaps that background is one of the reasons many of us still are hesitant to use it. We just prefer a more literal approach to Bible translation for various reasons. With the advent of Today’s New International Version, there was an outcry about gender neutral language run too far. 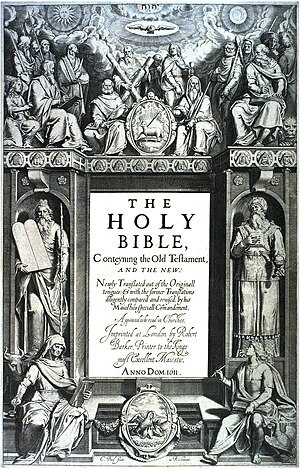 Partly as a result of this controversy, the English Standard Version was produced. The ESV is a conservative remake of the somewhat liberal Revised Standard Version. And the ESV took the Bible market by storm, as many Reformed pastors and teachers have made it their Bible of choice. It is making inroads into non-Reformed segments of Christianity as well. Along the way, people like Leland Ryken, John Piper and Wayne Grudem have had some not so flattering things to say about the NIV, and especially the TNIV. And many other conservative scholars have concurred. At issue are the many places where the NIV smooths over the text to make nice sounding English, but in the process obscures the presence of important connector words like “for” and other features of the text which influence its interpretation. Many feel the NIV makes too many interpretive choices for its readers. Of course the gender neutrality of the TNIV is not a problem in the NIV, but the direction the TNIV took seems to be far afield of where conservative scholarship thinks we should go with respect to Scriptural integrity. In light of this reaction, I was initially hopeful that the announcement of a new NIV update might promise a turn toward a better direction for the NIV. After reading the translators’ notes about the new update, I am inclined to think it actually is the positive change I was hoping for. In several cases they move toward a greater transparency to the original text. They restore many of the missing “for”s, and the gender neutral language concerns seem for the most part to be satisfactorily addressed. The tack they take is not much different than the ESV which also uses some gender neutral language in an attempt to employ contemporary English. In this whole process I was also pleased to learn that the publishing house has little control, if any, over the actual text of the Bible translation. The translation aspects of the NIV are kept separate from the publishing and marketing arm of spreading the finished product abroad. I encourage you to read the translator’s notes on this important update for yourself. You can also see a video introduction of the text by Douglas Moo, the chair of the translation committee. Furthermore, there are several comparison tools available for comparing the 1984 NIV text, and the TNIV and now the new 2011 NIV Update edition. BibleGateway can do that. And a couple other sites have comparison tools for comparing the various manifestations of the NIV: This site has a drop down menu to pull up the text a chapter at a time. This one offers several different comparison points between the editions. I think this whole update was handled transparently and honestly. I believe it is a good sign that evangelicalism as a whole has a careful concern for the text of Scripture and aren’t just ready to adopt any translation that can be made. The respect and care with which the translators of the NIV handle their work has been apparent through the whole process. I think the end result will prove to be a blessing to the wider church, even with the presence of other useful, conservatively produced translations. May this lead to a greater unity and a lessening of the “Bible wars” which have been transpiring in the last decade or so. I for one, am eager to get a copy of this new NIV, to see how it compares with my ESV. One last word: check out Rick Mansfield’s review of the updated NIV. I’m sure more reviews will be forthcoming, in the next few weeks. We apologize folks, for some reason the comment feature isn’t working right now. I’ll be looking into this as soon as I can. Many apologies.